It's that time of year again and Ohanami in Nakameugro is about as good as it gets in my opinion. 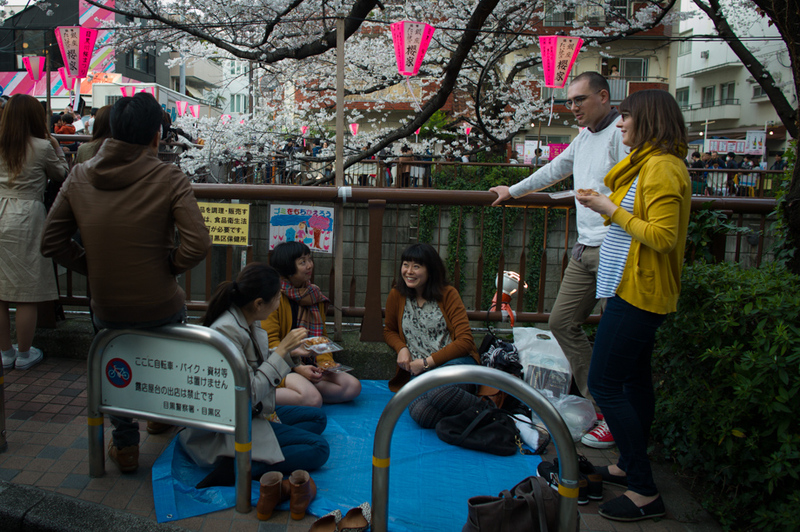 I love being able to walk by Meguro River viewing the cherry blossoms, watch the people, take in the sights and sounds and the smells from the many food vendors set up along the river. It is a place you go for a very slow and casual stroll with your camera. It makes for a very pleasurable afternoon. In the morning yesterday I went to a wedding of my colleague and gave a speech in japanese! My theme was 'Happy Wife Happy Life'. It was good practice for my japanese. I have been invited to two more weddings this season so I have a lot of practice to do. 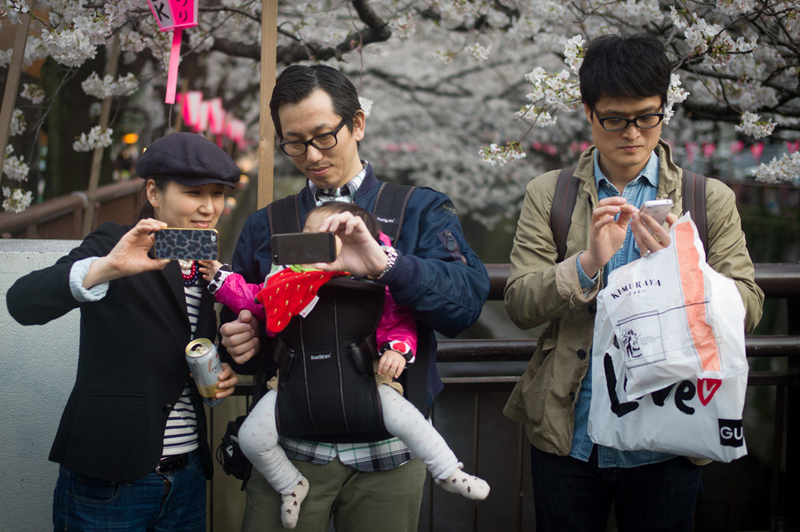 People always ask me what lenses they should bring when them to shoot the cherry blossoms. I brought a 21mm, 35mm and 75mm but probably used my 35mm the most followed by 21mm. I rarely used my 75mm. There is great atmosphere at these events and that is what I wanted to capture vs. tight shots I would get with a 75mm. I never get tired of this scene. I use to live just a few blocks from Meguro River and use to run up and down by the river. It is a beautiful run early in the morning when there are no crowds. In about 1.5 weeks it will be snowing cherry blossom pedals down there. It all starts right across Nakameguro Station. Apr 2 Let the Ohanami begin!